A modern, stylish and inclusive kettle wins this year’s Designing for the Future Competition at The College of Richard Collyer. Designing for the Future, run by The Future Perfect Company, encourages student designers to think about the challenges affecting our ageing population – and to create innovative and attractive designs which allow older people to continue to live meaningful, enjoyable, active and independent lives. 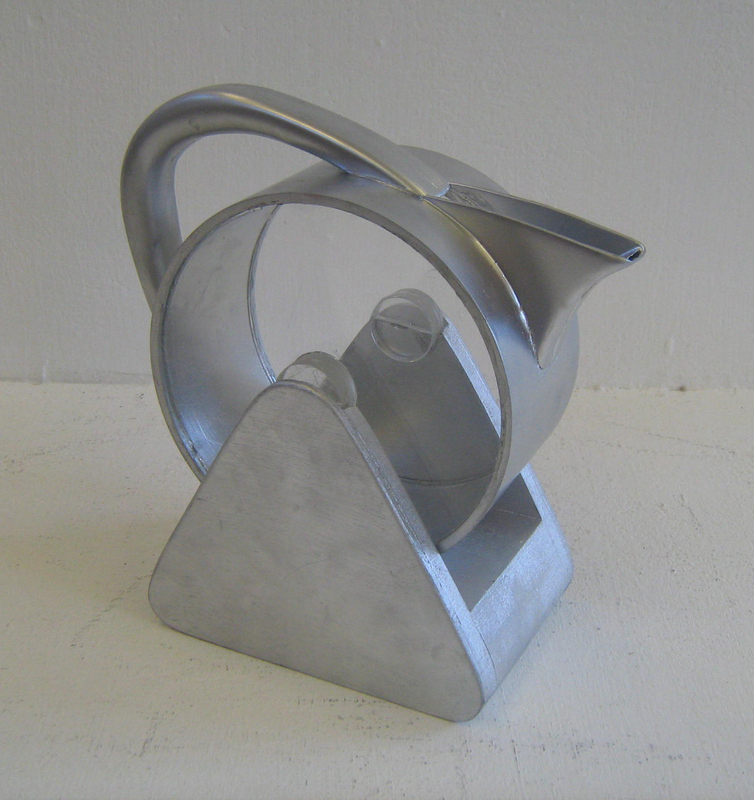 This year’s winner, A level student Lara Smith, designed the “Metamo Kettle”. The kettle was designed for people with stability issues, featuring a tipping function and “Ball & Socket” pouring mechanism. The Designing for the Future judges were impressed with the multisensory and inclusive design. Joint second prize went to Guy Mannion and Jacob Hamilton. Guy designed a toothbrush designed for people with Arthritis. Jacob created a beautiful docking station with phone charging and storage function. Students, Aston Beagle, Holly Silvester and Andrew Gardner were Highly Commended. Their designs included a universal prosthetic foot, multi tool for kitchen and bathroom and an accessory for keys. Judges this year included Philippa Aldrich and Molly Aldrich-Wincer from The Future Perfect Company and Marie Harris from Beta Futures. Next year Designing for the Future is set to include older “experts” from Beta Futures’ 50+ Skills Exchange Club which will add a further intergenerational dimension to the project. Molly Aldrich-Wincer says “The competition has been running for 6 years now. One element that is currently missing is market research with older people who are potential users of the products that the students create. With an ageing demographic it is really important that more intergenerational learning takes place in communities to avoid the generation gap increasing”.